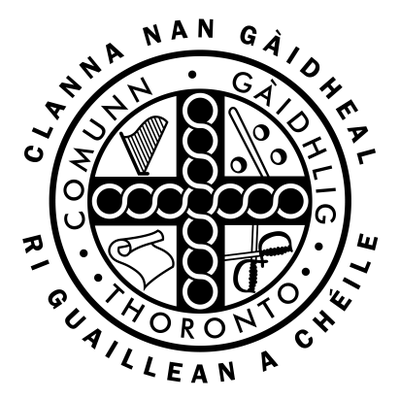 Comunn Gàidhlig Thoronto / The Gaelic Society of Toronto holds its Annual General Meeting (AGM) each fall in October. The 137th Annual General Meeting will be held October 21, 2017. Members will review initiatives of the previous year, set priorities for the upcoming year, address Society business, and vote in a new Board of Directors. Join us for social hour 11am to 12 noon with coffee, tea and light refreshments. The AGM starts at 12 noon. 6-8 minutes walk north from Lawrence subway. Please see the attached Q&A regarding the process for the nomination and election of the Board of Directors. All are welcome to participate in the 136th AGM, which will be held October 22, 2016. Members will review initiatives of the previous year, set priorities for the upcoming year, address Society business, and vote in a new Board of Directors. Join us after the AGM for a scotch pie and mash dinner along with a Ceilidh dance workshop. The 135th Annual General Meeting was held on Saturday, October 17, 2015. At the meeting, the membership fees were set, auditors were appointed, and last year’s financial statement was approved. We reflected on the accomplishments of Comunn Gàidhlig Thoronto over the last year. It was a year of gaining momentum, strengthening and engaging community, sharing language and culture, and creating connections. We explored lessons learned, and future opportunities. If you’d like to read the Year in Review Report for 2014/2015, please click here. The Board of Directors for 2015/2016 were nominated and elected by members, and we heard a message from our Chief, Chris Macaulay Bateman. A tribute was made to Murdo MacLean for his work as Treasurer, followed by a decision to continue the review of the Constitution this coming year, reminders of future events, and a question and answer period. We ended the day enjoying a social hour with refreshments provided by members of the Board. This year we held our AGM Saturday, October 25, 2014. We had a great turnout and were pleased to welcome a number of new members. A Board of Directors was voted in for the 2014/2015 year. Their goal will be to update the Society’s Constitution, hold events and activities that will continue to grow the Society and promote Gaelic language, culture and community. Members also discussed the role of the Society and ideas for future meetings and activities. Following the AGM, we enjoyed a social hour with delicious home baking, songs and stories. It was a great kickoff to what will be an exciting 2014/2015!